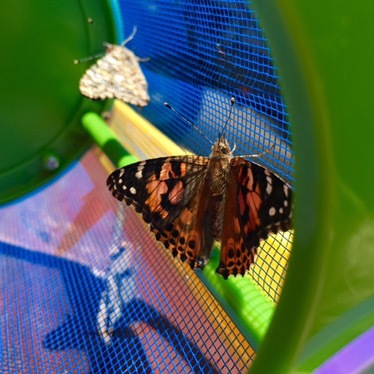 It is no secret that our family loves Insect Lore butterflies, and the amazing life cycle unit studies they help us to create. Sometimes though, our lesson takes a sudden turn in a direction we didn’t expect. “On the bright side”, you ask? We got to discuss again the importance of not touching a chrystalis we come across because of how delicate they can be, the kids got an up close glance at what might be going on inside the chrystalis, and we had an opportunity to ponder how our actions affect nature. This is an extremely productive homeschool day in my opinion! 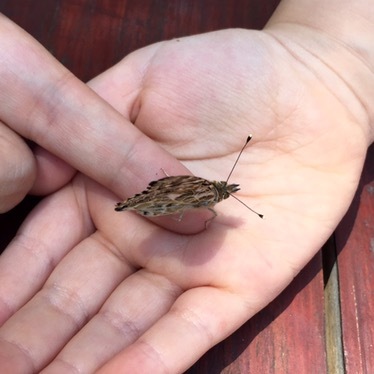 For the second year in a row, we were fortunate enough to have one butterfly choose to land on our hands and stick around for a while. It’s always so special when one does this! 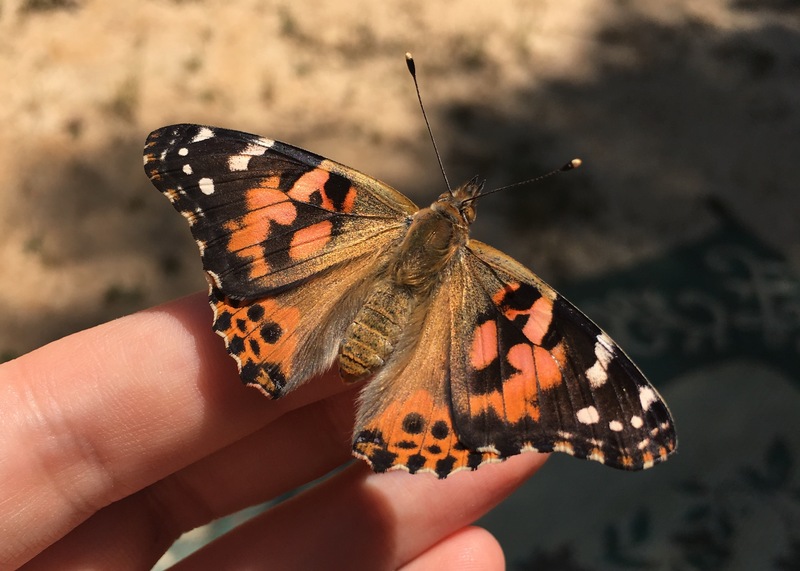 Check out the gorgeous orange coloring on the wings and try imagining the wonder of these moments for a young child. Our girls’ eyes always light up as they watch the wings flapping on their palm. These are by far some of my favorite memories in the making! 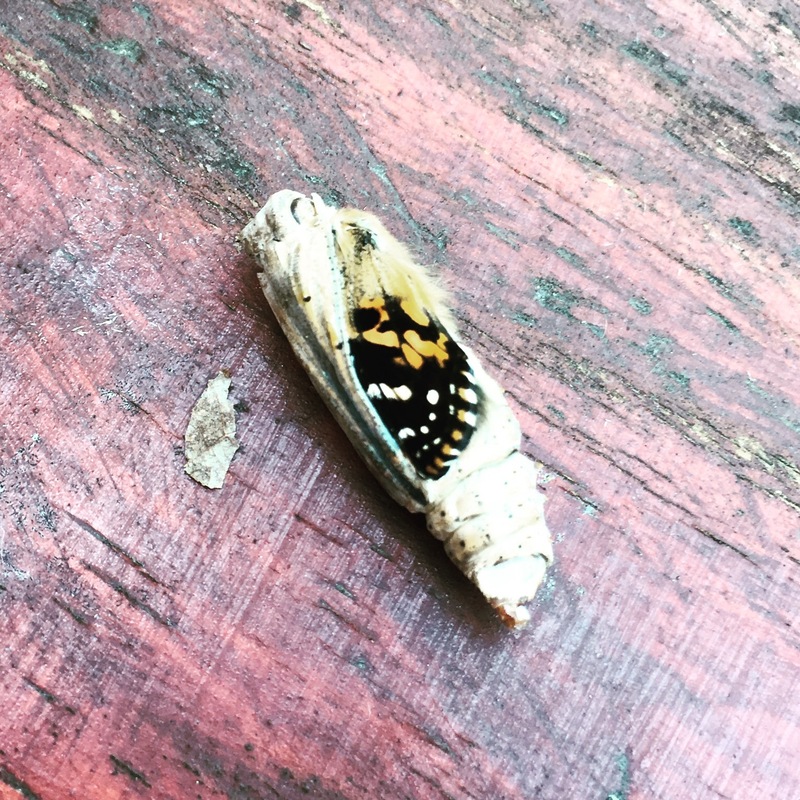 Ready to experience the beauty of life cycle transformations? We recommend stating out with a caterpillar kit or lady bug land. Need help coming up with a lesson plan? Check out Educents for some great ideas (they even have full unit studies available) and be sure to pair it with National Geographic’s Bug-opedia!